VMBox.Co Review 2019: Is VMBox.Co a Good Hosting? Founded in 2011, VMBox.Co is a rapidly growing virtual servers provider with data centers in Phoenix, Los Angeles, and Amsterdam. VMBox.Co was launched in 2011 as as a division of Noz Ltd. 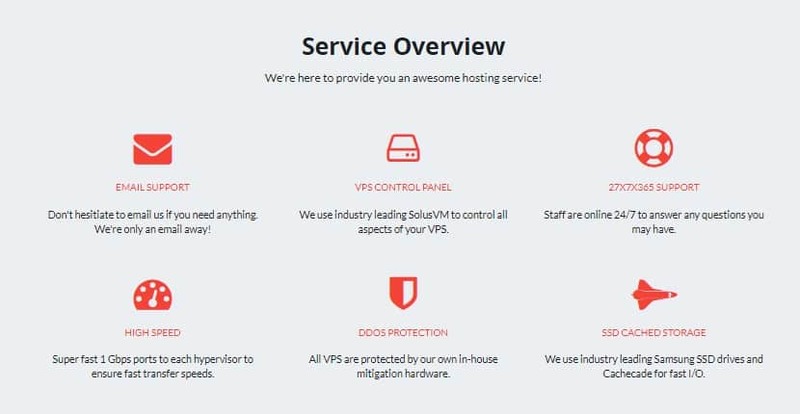 While they have not been in the hosting business for a long time, their professionals have several decades worth of cumulative experience in this industry and have contributed immensely to the rapid growth of the company’s share of the VPS solutions market. While at first glance it appears that you can switch their website between English, Spanish, and German, all selections seem to lead to the English language version. VMBox.Co has data centers located in Phoenix and Los Angeles in U.S.A., and Amsterdam in the Netherlands. All their data centers use RAID 10 and offer premium SSD cached VPS with powerful dual E5v2 processors to keep your servers performing well with no interruptions. They provide free Wildcard SSL certificates to secure the connection between the browser and your website, but these certificates are only permitted for use on their VPS in Amsterdam and Phoenix (and they may be revoked if used elsewhere). Details of VMBox.Co’s physical data center security are not easy to ascertain. While VMBox.Co provides cloud backups for all their services, they do not not provide any backup guarantees for their VPS solutions. Instead, they encourage clients to backup their data themselves. I found VMBox.Co’s VPS and dedicated server hosting packages to be pretty cheap compared to other hosting vendors in the U.S.A. However, their dedicated hosting package has only one plan, which is a notable contrast with what can be found elsewhere in the market. This single plan is quite restrictive, with pretty basic features that would be inadequate for most large corporations. Prices are offered in U.S. Dollars and Euros, and you can choose to pay on a monthly or annual basis. There is no money-back guarantee, but there is a minimal three-day refund policy (for what it’s worth) for your first payment when you subscribe to their VPS package. Refunds are not available for cPanel licenses, but users can get refunds for SSL certificates (after at least seven days to prevent abuse). I could not find any information on the vendor’s website about uptime guarantee. Clients can reach VMBox.Co’s 24/7 technical support by telephone, email, live chat, a ticketing system, or social media. I was quite frustrated by the apparently long wait time when I contacted the technical support team. They are slow to respond and sometimes altogether available, but they have a detailed knowledge base with a well structured FAQ section that quite effectively addresses common hosting issues. VMBox.Co does not offer shared hosting services. The company has restricted itself to VPS and dedicated server solutions, yet these services do not seem to be backed by powerful enough infrastructure to give big corporations the necessary assurances that their hosting needs will be met. Wondering how VMBox.Co stacks up against other Web Hosting companies? Enter any other Web Hosting company and we will give you a side-by-side comparison.